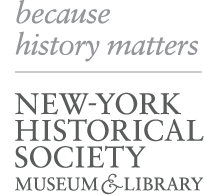 Nerdy Thursdays comes to New-York Historical! Join us at the Museum for this signature event from the Black Gotham Experience that brings together a DJ, gallery talks, cocktails, and a brilliant group of historians, writers, and curators. Listen to music, hear from experts, tour our exhibitions Black Citizenship in the Age of Jim Crow and Betye Saar: Keepin’ It Clean, and explore how history is a process—that sometimes needs a remix. This program is presented in partnership with the Black Gotham Experience.